These are ingeniously developed in-house products by EMD after much research and testing in its own facilities. The products are then made market ready with EMD’s brand name and marketed under the company’s own license. The products coming under this category are known as EMD Products. A revolutionary Radiology Information System (RIS) developed from to be unlike any other RIS currently on the market. It was specifically designed to contain as few screens as possible while introducing functionality and workflow management not see in a RIS before. View schedules by day, week, month, year, and physicians. Identify appointments by assigning color code. 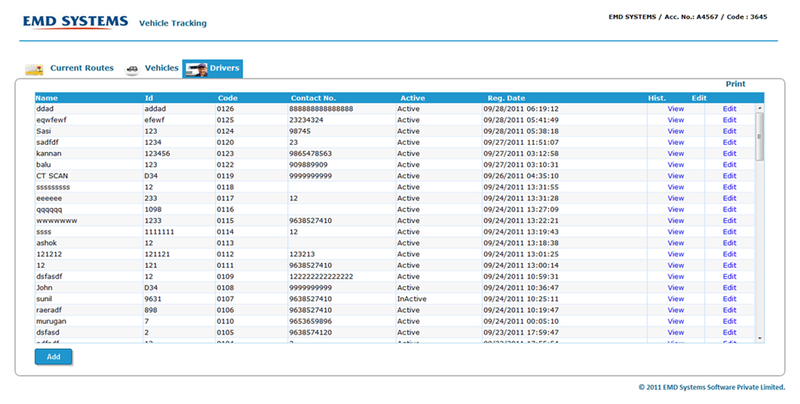 Track patient charges and remittance history. Multiple insurance providers (Primary, Secondary & Tertiary). View real patient, insurance balances and financial information at a glance. Generate time report by employee, department, facility, or enterprise. Facilitates radiology structured reports based on the ACR guidelines. ePrint allows reports to be automatically printed directly at the referring physicians office. .Net 4.0 full web based ASP architecture. A radiology information system (RIS) is a software application used for managing medical image departments or imaging centers. A RIS is especially useful for managing radiological records and associated patient data in a multiple location enterprise. It is often used in conjunction with a Picture Archiving and Communication System (PACS) to manage work flow and billing. RIS often bridges a facilities master information system (HIS/RIS/PMR) with the PACS. Patient management: A RIS can track a patient’s entire workflow within the radiology department; images and reports can be added to and retrieved from electronic medical records (EMRs) and viewed by authorized radiology staff. Document management: A RIS scan and import patient documentation and associate it at the patient or exam record. Scheduling: Appointments can be made for both in- and out-patients with specific radiology staff. Patient tracking: A patient’s entire radiology history can be tracked from admission to discharge. The history can be coordinated with past, present and future appointments. Business logic reporting: A RIS can generate statistical reports for a single patient, group of patients or particular procedure. Results reporting: A RIS can provide full transcription and dictation workflow for the production of radiology interpretation reports and report distribution. 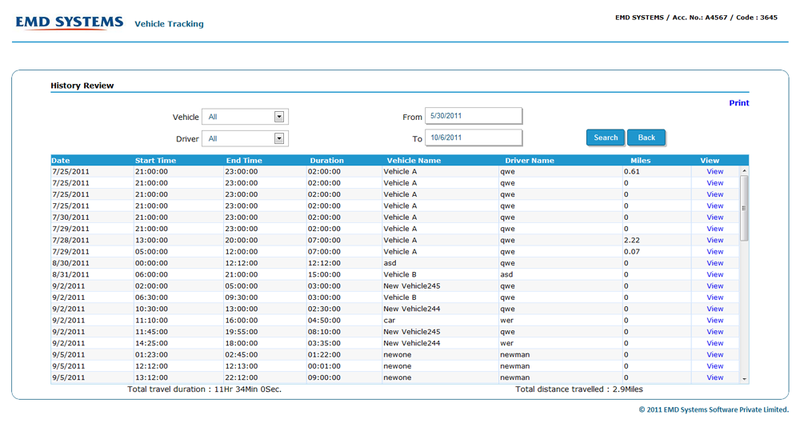 Film tracking: A RIS can track individual films and their associate data. Mammography Tracking: Module that helps maintain records required for mammography such as Bi-Rads, Lay Letters, TP, FP, TN, FN, etc. Billing: A RIS facilitates detailed financial record-keeping, electronic payments and automated claims submission. The Physician Portal is a cutting edge application that provides unseen levels of interactivity while maintaining the ease of use and security you’ve come to expect from EMD. EMD provides a scheduling system that is both powerful and intuitive. Knowing that different situations require different mechanisms for scheduling, EMD has provided several workflows for scheduling an exam in our applications. The workflow can start with a patient and the selection of a location, modality, and exam. Alternately, the workflow can start with the location, modality, and then the selection of the patient. The systems power is only matched by its flexibility. Quick appointment: allows for the scheduling of a time slot with only the patient information. Scheduler is informed of any medical alerts that a patient may have upon selecting that patient. Your information systems need to communicate with a multitude of disparate information systems. EMD offers a comprehensive integration solution that can handle all of the work to transform and route healthcare data. Our HL7 broker delivers high performance and flexibility. Weather running as a stand alone intermediary broker or as an integrated information system broker, our applications can provide the messaging required to seamlessly integrate or interface with third party information system to deliver a wholistic workflow. TC has been designed for the exchange, integration, sharing, and retrieval of electronic health information which support clinical practice and the management, delivery, and evaluation of health services. This project promotes the use of informatics standards within and among healthcare organizations to increase the effectiveness and efficiency of healthcare information delivery for the benefit of all. Facilitates the end users ability to configure and manage their own HL7 interface. Intuitive graphical mapping of messages from inbound to outbound. Sends and receives Patient, Schedule, Orders, Report, Billing records in HL7 format. Field Mapping in HL7 segment. Default value map and formula map in HL7 segment. Records can be sent through IP address, File Transfer or saved in folder. Manual creation of HL7 based on date range. 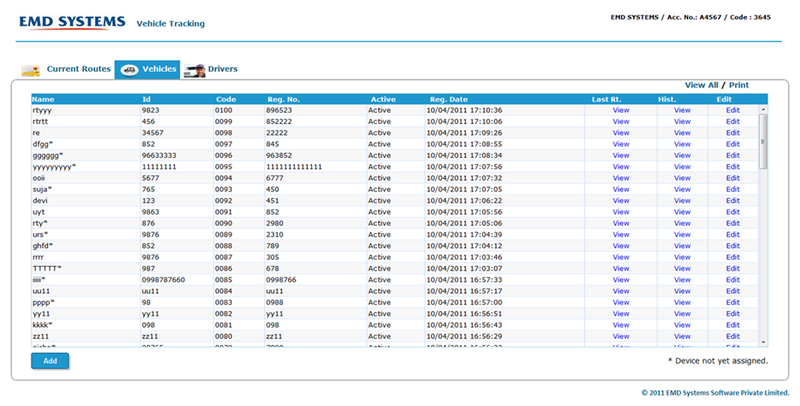 In receiving process, received records will be updated in product database. Logging of all interface activity, from server-wide events to individual message operations. Allows patient records and other confidential data to be sent and received securely. EMD supports submitting electronic data via billing clearing houses and direct payers. Our EDI broker and SDK provide the ability to build CNS-1500 ASC X12 EDI data message, transmit the EDI message, receive EDI message, and process received EDI messages. Our EDI technology is most commonly used to provide HIPAA compliant insurance claims, insurance claim status, insurance eligibility (270), and insurance authorization (278). EMD is an active member of ASC X12. This ensures that we are fully up to date and knowledgeable about the progression and use of the EDI standard. Electronic data interchange (EDI) is the structured transmission of data between organizations by electronic means, which is used to transfer electronic documents or business data from one computer system to another computer system, i.e. from one trading partner to another trading partner without human intervention. It is more than mere e-mail; for instance, organizations might replace bills of lading and even cheques with appropriate EDI messages. In 1996, the National Institute of Standards and Technology defined electronic data interchange as "the computer-to-computer interchange of strictly formatted messages that represent documents other than monetary instruments. EDI implies a sequence of messages between two parties, either of whom may serve as originator or recipient. The formatted data representing the documents may be transmitted from originator to recipient via telecommunications or physically transported on electronic storage media." It distinguishes mere electronic communication or data exchange, specifying that "in EDI, the usual processing of received messages is by computer only. Human intervention in the processing of a received message is typically intended only for error conditions, for quality review, and for special situations. For example, the transmission of binary or textual data is not EDI as defined here unless the data is treated as one or more data elements of an EDI message and it is not normally intended for human interpretation as part of online data processing." EDI can be formally defined as the transfer of structured data, by agreed message standards, from one computer system to another without human intervention. This is an SDK that allows software developers to incorporate a complete Silverlight based audio dictation subsystem. Records audio in wav format and converting into mp3 format at server side after saving. This is an SDK that allows software developers to incorporate a audio player into their application. This is an SDK that allows software developers to incorporate a complete audio dictation subsystem. Records audio in wav format and converting into mp3 for saving. Global hot keys for all the functions. Can operate recorder, even though the recorder is minimized. This project was designed for creating, updating, and tracking of support tickets. E-mail confirmations are sent to both the Admin and Client when tasks are created, assigned or completed. Create, track, and route support tickets. Different Modules for Admin and Client. Receive email alerts when tickets are created, assigned, or answered. Customers can attach files while creating tickets. Allow customers to view their own personal online help history of all service requests. This product specializes in providing real time location-based information about personal vehicles, fleet of trucks, service vehicles. It helps monitoring employee driving habits and activities. Helps you locate your employees are on-the-road. Helps you verify the employee time sheet. 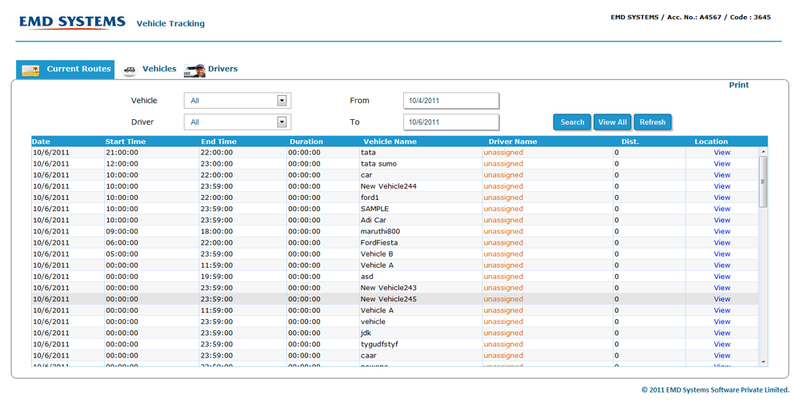 Helps you in monitoring all your vehicles. Helps you in timely delivery of the consignments. Helps you monitor the vehicle speeds. Helps you in tracking the movement of vehicles on the road. Improve vehicle utilization by eliminating unnecessary idle time and operating misuse. Track anywhere: Works in all countries. 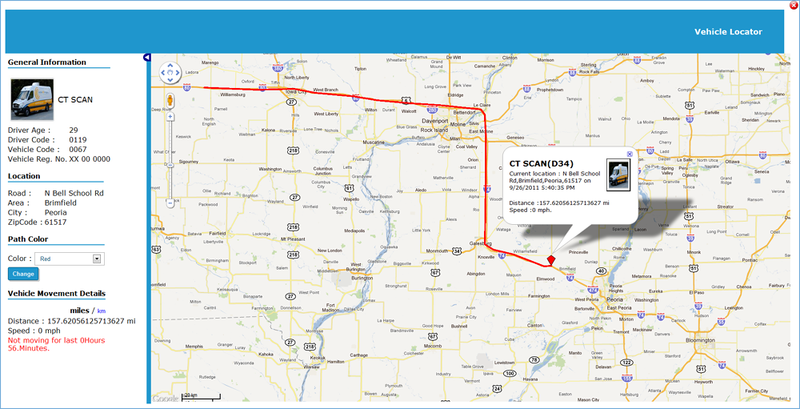 Real Time Tracking & Alerts. Retrieving, storing and replaying position on map. Tracks the distance between particular location and vehicle. Map control -Pan, Zoom In and Out.